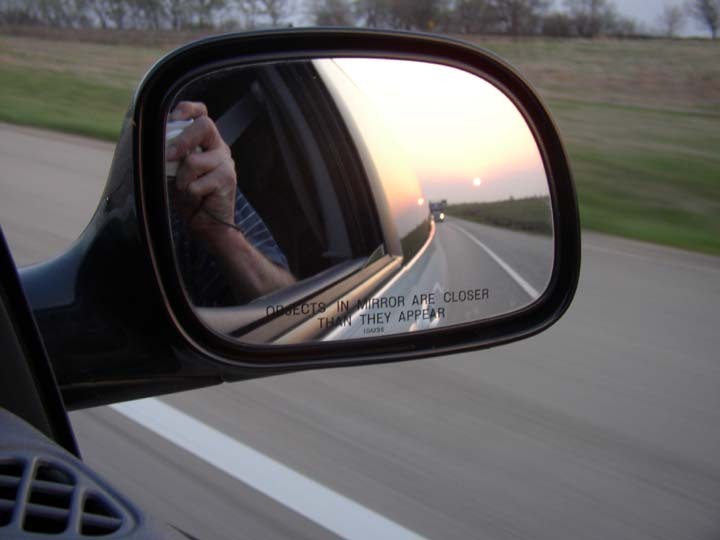 From Hutchinson, we headed north to Abilene for dinner and then home to Kansas City. We stopped in Salina for gas. 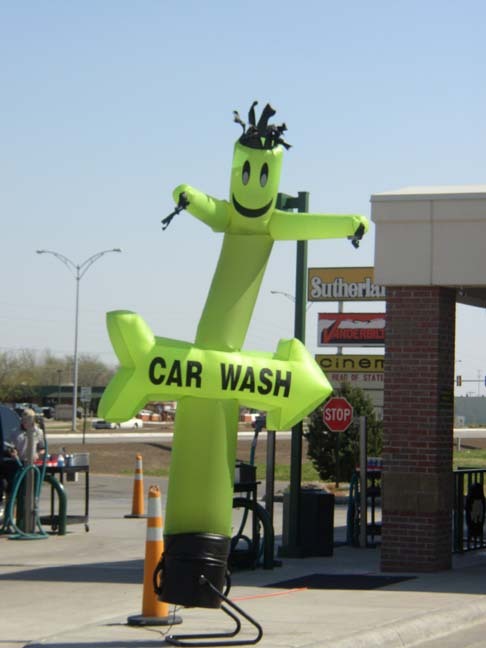 We didn't wash the cars, but I still couldn't resist this goofy car wash sign, which flopped back and forth in the wind. 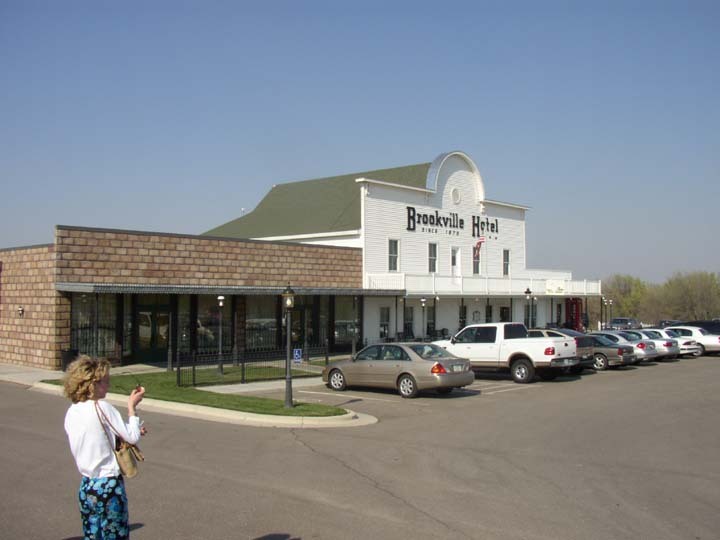 We ate fried chicken dinner at the Brookville Hotel in Abilene, founded in 1870. 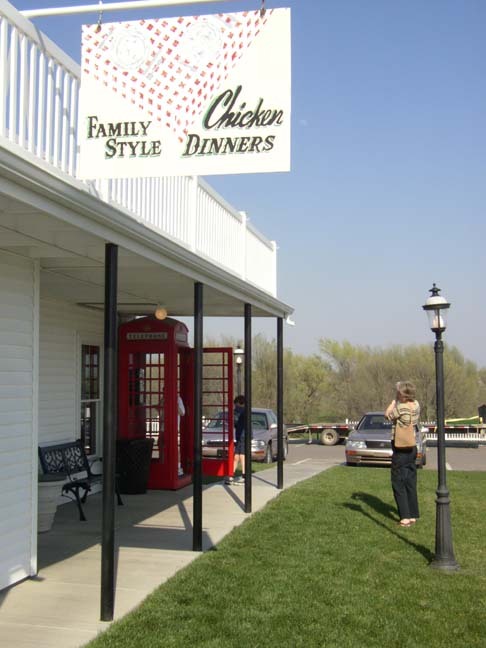 A British phone booth was a photo-op at the Brookville Hotel. As we drove home on I-70, we encountered many planned grass fires. The smoke produced quite a haze and affected the sunset.